Anotate is an interactive whiteboarding tool that turns an iPad or Android tablet into a mobile interactive whiteboard. 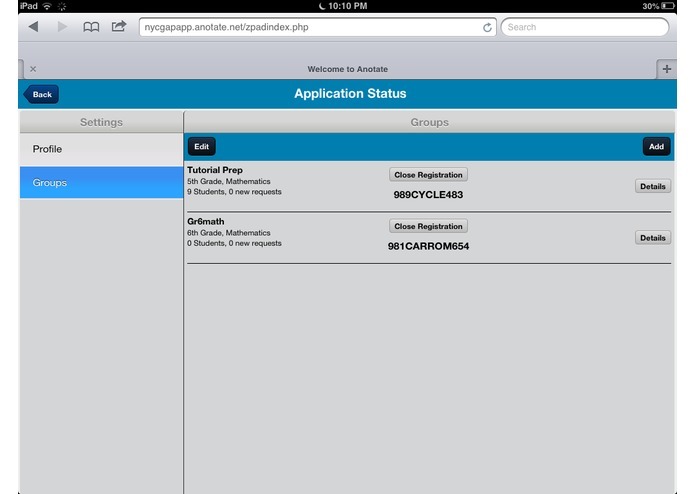 It is a cloud based software that works as a web app on Safari on the iPad and Chrome on Android. Anotate uses a small downloadable application on a destkop or laptop to mirror the tablet in real time. 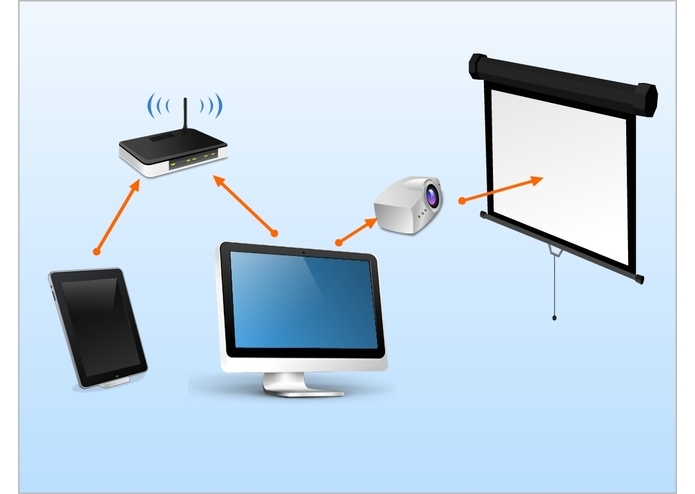 By connecting a projector to your desktop or laptop, you get all the functionality of a mobile whiteboard on a tablet. Anotate is an HTML5 web app that runs on both iPads and Android tablets and the Anotate Mirror client works for both Windows and Macs. One of the cool things about Anotate is that it can interface with a real time assessment software like Simpliphi, so you can embed formative assessment questions directly in your instruction slides, have the student responses analysed in real time, and then use that to tailor your instruction. Anotate is a vector drawing tool that supports almost all of the features of traditional interactive whiteboarding software. You can draw and manipulate vector shapes like lines, circles, triangles, and rectangles. The pen tool can be used to draw freehand and the text tool for text boxes. You can change the magnification and orientation of objects anytime using pinch and zoom gestures. Another useful feature in Anotate is the ability to support groups. Teachers can create 'groups' for each of their classes and students can register using a simple self-registration process. 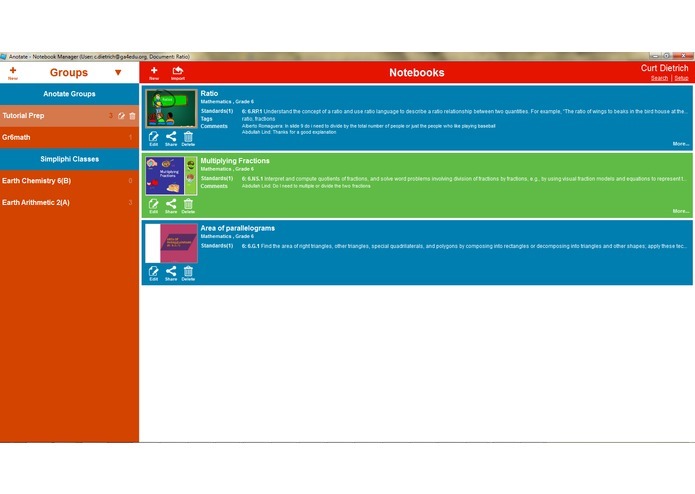 Teachers can publish notebooks to groups and students can access the slides from any HTML5 compliant web browser on a desktop, laptop, or mobile device. They can also post their comments or queries if something was not clear to them during their lecture. As all of the content is stored on the cloud, teachers can access their work from anywhere so long as they have access to a tablet connected to the internet. You only need the tablet mirror application on the desktop if you want to project it or control your desktop from your tablet. Otherwise, the web-app running on the tablet is a self contained tool. 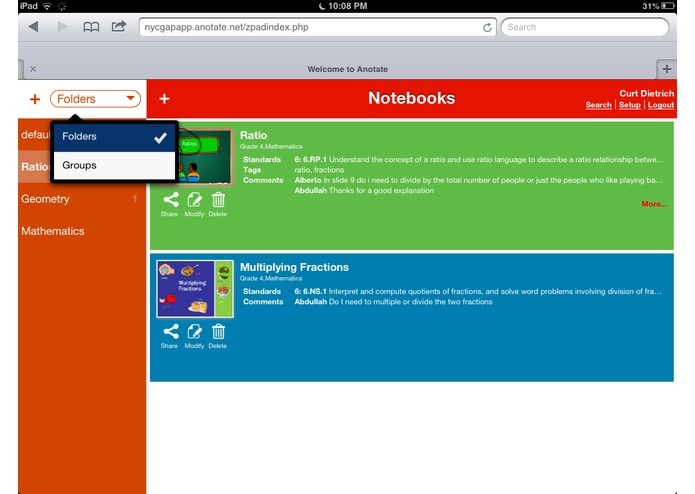 Anotate supports common core standards to be associated with every notebook. Teachers can also search for content using standards, grade level, or keywords associated with the notebook. They also have the ability to share their notebooks. Anotate also allows you to import content from popular formats like PowerPoint, PDF, and SMART notebook format. 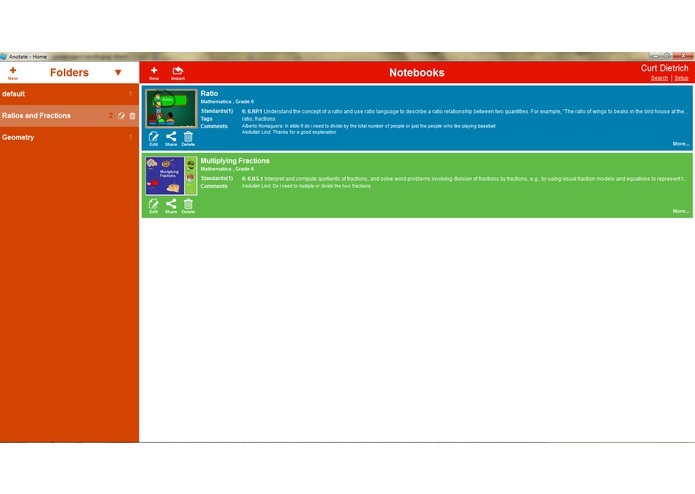 You can also have your notebook sent as a pdf document to your email. In all, Anotate is an extremely cost-effective way to get interactive whiteboard functionality at a fraction of the cost, using existing school infrastructure while adding a host of sharing and collaboration features between instructors and students.